Posted on April 18, 2013	by Judah Gutwein, L.N.H.A. I made that one up all by myself! Now that I’ve got your attention (which is why I digress), let’s leave the mirror alone for a moment. If you’ve discovered this blog, chances are you are researching a skilled nursing and rehab facility for placement of your loved one. Perhaps you’ve found us tangentially or perhaps by design. Either way, I’d like to empower you regarding nursing and rehab facilities in general and Regency nursing and rehab facilities in particular. There are many subjective and objective considerations when researching a nursing facility for a loved one. In any objective lexicon, quantifiable and measurable components, like standard of care, skilled nursing, therapy disciplines, and level of compassion, are of paramount importance. After all, these are the crucial foundation blocks upon which a successful rehab regimen is built. Far more subjective (albeit with import and value), are your deliberations concerning aesthetics, amenities and the like. What may appeal to you might very well be a turn off to the next person, etc. At Regency nursing and rehab centers, we take your subjective and objective considerations very seriously. It is why we offer the very best in healthcare and rehab, combined with stately and pristine facilities, located on lush properties. Our facilities in Wayne, Dover, Somerset, Lakewood and Hazlet, are all treasured gems within their respective communities and we stand apart from each of our competitors as an oasis of tranquility. Families love our unique and homey ambiance, our open areas and parks, our therapy programs and culinary skills to tease even the most discriminating palette. However, we are also mindful and respectful of the fact, that your personal and subjective preferences may sometimes lead you in a different direction. Perhaps another facility in your estimation has a nicer lobby? A contemporary look? Nicer paintings? Shiny mirrors? Gleaming chandeliers? Perhaps it’s the other way around? 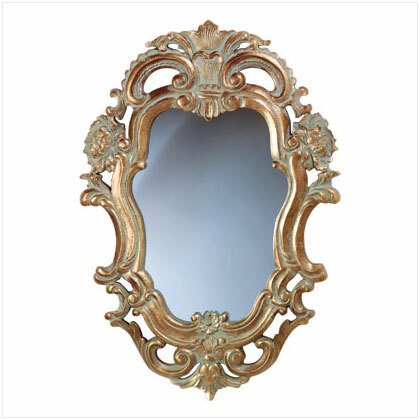 Maybe our paintings and mirrors appeal to you? I would submit to you that paintings and mirrors cannot heal your loved one. A five star Hilton hotel, with all of its varied amenities, cannot heal your loved one. Indeed, it isn’t the beauty of our facilities that mends the physical, psychological and emotional ailments of your loved one. Rather, it is our objectively superior level of care and compassion which carries the day. In the all important areas where it matters most, nobody competes with us! So the next time you ask the flashy mirror on the lobby wall a question like that, be prepared to hear the unvarnished truth. The mirror is nice, but only the nurse will heal. Where many of our competitors provide “smoke” as an accent to their “mirrors,” we enhance and legitimize our ‘mirrors’ with stellar nursing and care! At Regency, we are the standard by which others measure themselves. It is at Regency nursing centers where care and quality comes to life! This entry was posted in HealthCare News and tagged best nursing homes in monmouth county, best nursing homes in somerset county, best nursing homes in wayne new jersey, how to find a good nursing home, nursing homes in new jersey, regency nursing homes, researching a nursing home, top new jersey nursing homes, top nursing homes in dover. Bookmark the permalink.